Now in its 16th season, Music by the Lake camp is a one-week residential TDSB music program that runs from Saturday, May 25 to Saturday, June 1. 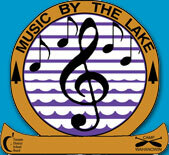 Music by the Lake Ca mp is at Camp Wahanowin, situated on a 200-acre site on the beautiful shore of Lake Couchiching, approximately 10 kilometres from Orillia, Ontario. This program offers band, strings, choral, ukulele, steel pan, and percussion to grades 6, 7, and 8 students in the TDSB. Campers will enjoy experiences in their large ensemble, as well as have the opportunity for individual growth through small ensembles and master classes. Faculty ensembles and guest soloists perform in a concert setting throughout the program. At the end of the camp session, all groups perform in an Open House program to which parents/guardians and friends are invited.